This is such a good tool to being successful, unfortunately I did not adopt this policy until I was an adult. My husband on the other hand has had mentors all his life and is doing well. I am a proud senior with an inventive mind. 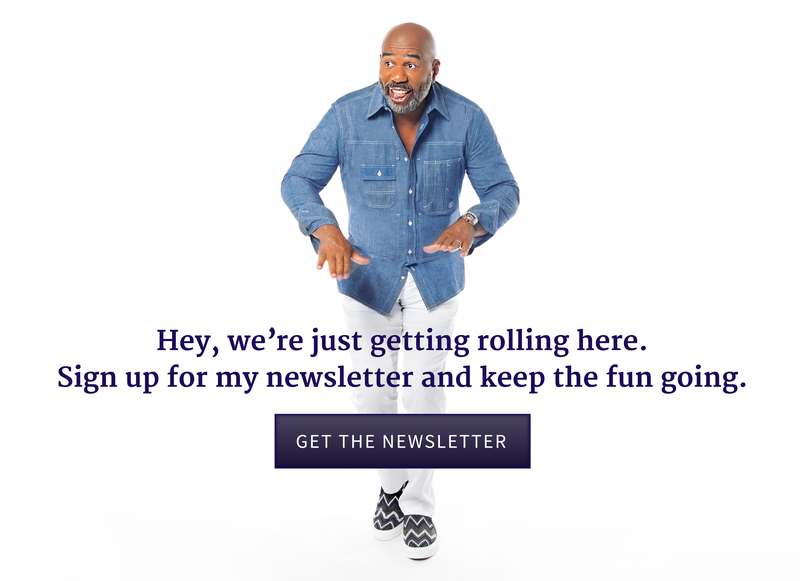 I JUMPED with Steve Harvey. Its been a hard journey and I have enjoyed every minute. I don’t make a move unless I pray first, think about what to do next, then do it. I do not have a mentor, but I I really need one. Yes, I am a senior citizen, but I never feel to old, and I never feel like I waited to late to accomplish my dream. I am on a mission. My invention is my Legacy. I would like to to be a mentor. Although I can’t be as successful as I would like to be with my son because I am not a man, perhaps I can help young women. I feel like I am failing all these males in my family. I would like to to know how to save them! Mr. Harvey, my name is Kae Mays and I live in St. Joseph, Mo. Is there any way my grandson could go to your Mentoring Camp? Him and his Mother and Sister just moved to Decatur, Georgia in July of 2018, my daughter works very hard to provide for her children. My grandson’s father doesn’t provide for his son but I know that your Camp would help him out very much, I just saw your show about the 3 Doctors that made a difference and I want my grandson to see that you can be more than just a football player. My grandson’s name is Javen Banks and there address is 2721 White Oak Dr. , Apt. F-32 in Decatur, Ga. 30032. I don’t know how much it would cost for him to come to your Camp but I would try to help him go. Thank you for your time in reading my comment!!! To learn more about this program go to: https://harveyfoundation.com/. Thank you! I don’t have a mentor per se, but I do have someone to share my thoughts with. Actually Steve Harvey is MY mentor!!! I enjoy his show, and I’ve always watched his standup comedy. He’s the man. I believe in myself, but I have to work on a way to generate the funds to get started on my passion. I pray daily about this and not afraid of getting dirty.